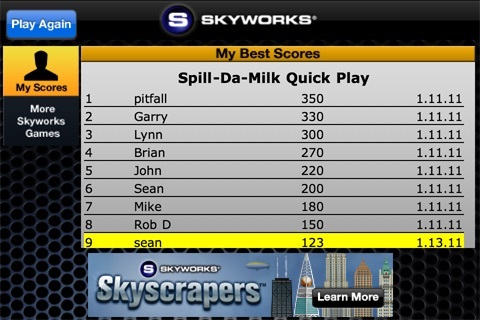 Spill Da' Milk™ Free - The Classic Arcade Games of Ball Toss! Step right up and try your skill at one of your favorite Boardwalk/Midway attractions! 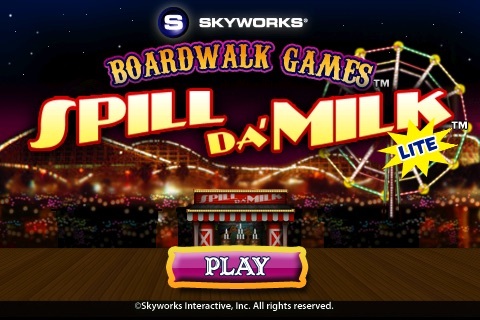 SPILL DA' MILK™ FREE combines amazing graphics, realistic physics and great game play to recreate the action and ambiance of a carnival booth on the Boardwalk. 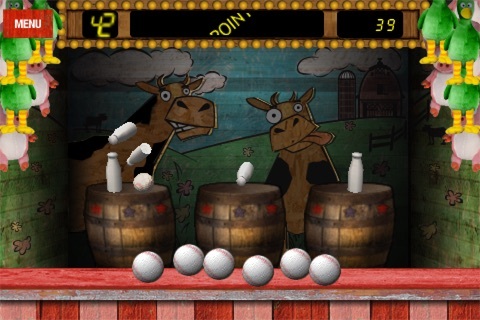 SPILL DA’ MILK is the macho classic carnival game where you try to knock down all the milk bottles with one throw. 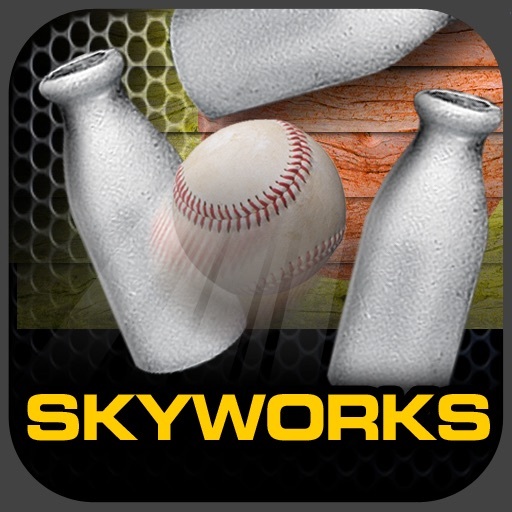 You get unlimited balls to knock down as many bottles as you can before time runs out and can earn bonuses for knocking down a whole stack. Looking for more milk bottle knocking action? 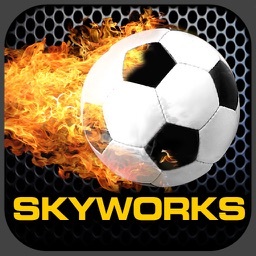 - ADDITIONAL GAME MODE: Besides the 45 second Quick Play, there is the terrific PROGRESSIVE MODE where you progress from one level to the next. 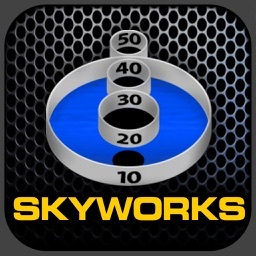 PROGRESSIVE MODE is so addicting that you will not be able to stop as you move level to level! How many levels will you achieve? 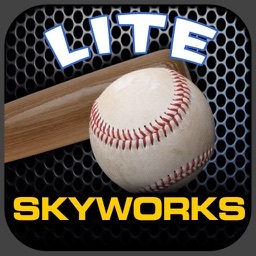 Win one level, and get to the next? Win prizes such as tiny rabbits, large ducks and giant bears. 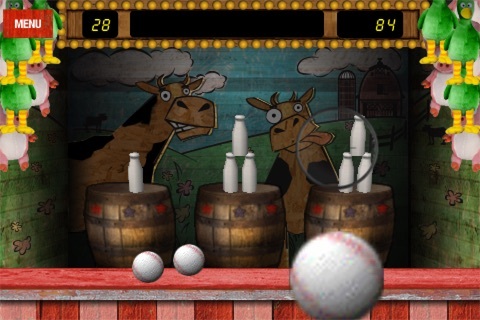 - GLOBAL HIGH SCORE BOARD: compete against carnies from all around the world! 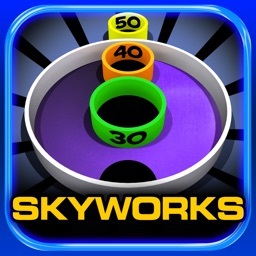 Search for “SKYWORKS” in the App Store search box to see 50 FREE and PAID games such as TABLE TENNIS and ARCADE HOOPS BASKETBALL.